Whether you’re starting a business for the first time or you’re a serial entrepreneur, being mentally tough is a quality you must possess. After all, it’s your mental strength that will keep you going when you must overcome adversity. That strength keeps you focused, positive, and resilient when all seems lost. And, it can help you learn from your mistakes, instead of wallowing in the past. As an entrepreneur — start a business that will increase mental strength. 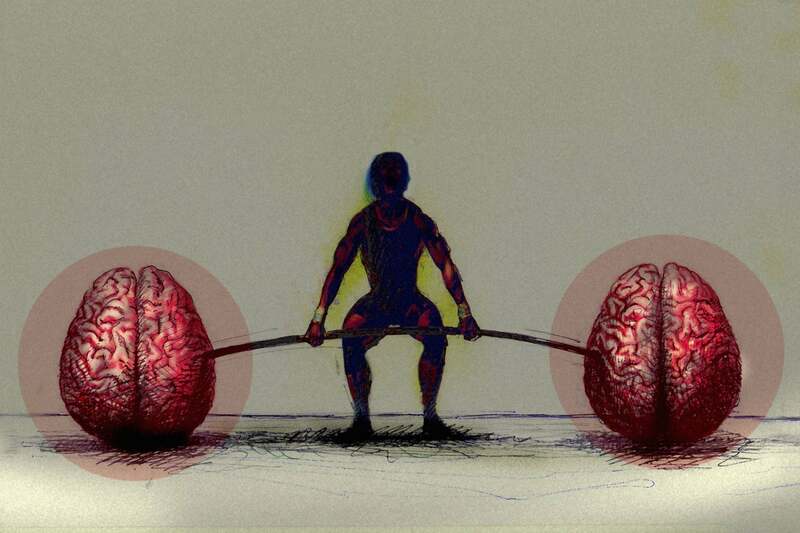 You may think that some people are born with mental toughness. While that may be true in some situations, it’s also possible to develop mental toughness. In fact, you can actually increase your mental strength while starting a business. And, here’s how. The first step in increasing your mental strength is knowing exactly who you are. Start by weighing your strengths and weaknesses. Think about what you’re most passionate about. Consider your values and what’s most important in your life. Then, go ahead and see how they align with each other. By doing this little self analysis, you can better understand who you really are and what you value the most. You’ll better understand where you currently are in your life. This can then help you look towards the future and what you need to do to get there. Write this information down along with other thoughts that you have at this time. Then, no matter what happens going forward — you can always refer back to this thought process. You’ll be able to quickly see where you were — and where you are now — to keep yourself on-track when you stumble. With practicing this formula can help you develop resilience. Any type of resilience training will improve your business in all areas — including increasing your bottom line. Be prepared. Know what your product is, your competitive advantage, and who your ideal customers are. Creative. Understand what your audience cares about and how you stand out from others. Disciplined. Know how to eliminate distractions and what outcomes you’re after. Knowledgeable. Be aware of your top product or service strengths and how you can improve customer inquiries. Resilient. Know the most common customer objections and how you can turn them into positives. As a business owner, you’re under constant pressure and stress. That’s why you, as a business leader, need to work on and develop your emotional intelligence. Observing your emotions so that you know the situations that trigger them. You can then label your emotions so that you can work with them, instead of them working you. Reflecting on your emotions. This way you can identify what causes emotions like fear or anger. Eventually, you’ll gain a new perspective about these feelings and you will deal with them in improved ways. Taking control of your emotions. If you feel overwhelmed or frustrated, remove yourself from the situation. You may want meditate or go for a short walk to clear your head. Learn how to express your feelings. Finally, instead of repressing your feelings, learn how to express them appropriately. This can be as simple as just clearly expressing to others how you currently feel. The best way to enhance neuroplasticity is by participating in attention-heavy areas. This means: learning a new language or musical instrument, memorizing stories, speeches, or poetry — any endeavor that truly pushes the brain to perform. It’s through these actions that the brain becomes more flexible. As a result, you can improve your creative thinking and ability to solve complex problems, and regulate your emotions. Instead of having a fixed mindset, which is where you believe talent and intelligence will make you successful — develop a growth mindset. This is where you realize that you’re a work in progress and that through hard work you can become more talented and intelligent. You’re already using the principles of neuroplasticity — if you are an entrepreneur. You can use your skills to develop a growth mindset. I’ve also found that finding a mentor can help you grow from a fixed – to growth mindset. This occurs as you share strategies and experiences — and talk about how to grow as business owners. Build a flexible business model. No matter how resilient you are, and how amazing your business model is — there are external factors. Changing customer preferences that may be preventing your business from becoming successful. In cases of business — you build resilience, fortitude and neuroplasticity as you change your mindset and figure out how you will pivot, if needed. Change or pivoting direction isn’t always the easiest of tasks. But it’s possible as long as you’re flexible enough to adapt and change to market demands. If you’re a small business owner, pivoting isn’t as big of an issue because you can make decisions faster and change faster. However, if you are to stubborn, or non-flexible — you won’t do as well as an entrepreneur and businessperson. Essentially the main decision maker can change more easily than one who must build a plan, then search out how to present this plan so that stakeholders will be able to respond to market changes. Most importantly when building flexible business models — listen to your employees, partners, vendors, and customers and be open to changing directions mid-course. As a business owner you may go weeks, months, or even years without a steady income. When you finally do experience success, you may be tempted to purchase a sporty new ride or fancy downtown office. These decisions don’t leave much room for pivoting or reinvesting in your company. Poor financial decisions do help you increase in mental strength. Instead, live within your means and stick to your budget. Delay spending your hard-earned money on status symbols or purchases that will not grow your business. For example, that new office may look impressive. But if rent is more than you’re bringing-in — it’s too large for your team. Save and spend that money elsewhere — like improving your product or service. Practice perseverance and get uncomfortable. Finally, start practicing perseverance and stepping out of your comfort zone daily. Every morning ask yourself and your team to solve a problem or challenge. Even better, think outside of the box and explore new ideas to tackle a challenge. Besides increasing your creative thinking, it can also build strengthen the relationship with your team. As for taking a step out of your comfort zone on a daily basis — this is a practice that takes practice. Something new every day will help. That’s why a new language or a musical instrument is so great — it has to be worked on every day. But you can find things that are exciting, or even scary — try them out. Though uncomfortable — this practice will help you gain new perspectives and expand your mental toughness capacity.